Light grey 4 piece bow tie suit with shorts, for baby boys, toddler or older boy, perfect for a ring bearer / pageboy, guest at a wedding or other special occasions. 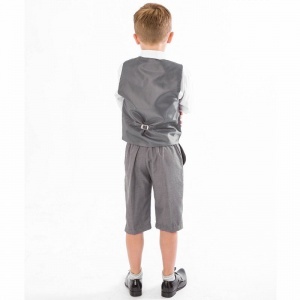 Shorts: Pleated light grey knee length shorts, double pockets, belt hoops, elasticated on rear for comfort. Bow Tie: Standard royal blue bow tie with an adjustable fastening at the back for the perfect fit, complimenting the suit perfectly. 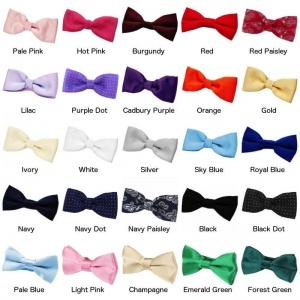 For a luxury coloured satin bow tie on elastic to follow your theme, select from an array of over 20 colours. 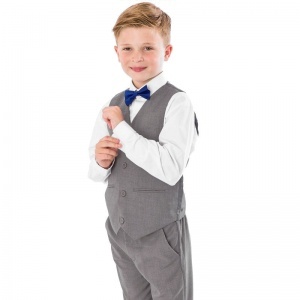 Bought this in a 3yrs also for my 2 nephews for our July wedding the material is beautiful and really light, so ideal for our summer wedding, this is a friendly company and we're brilliant when I had to exchange for bigger sizes, will be recommending them to everyone! Absolutely gorgeous suit, so cute for a summer wedding. 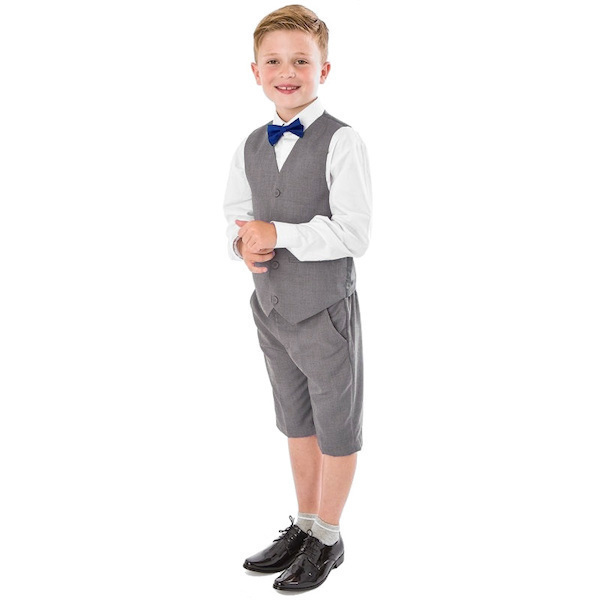 Hassle-free ordering, quick delivery and a beautiful suit that is perfect for our little page boy... What more could you want? The quality is so good, especially for the price. I have been recommending this site to everyone. Super happy with the quality Of my son's suit. 12-18months true sizes fits perfectly . Absolutely amazing! Looks fab on my child and great fabric/design. Will definitely be using these again in the near future. We are getting married this year and bought this for our little boy (9months) we wanted something cool if it's warm yet smart and tidy....very happy and he look so cute!